This is what I do when I should be doing something else. I spend time trolling for creativity, usually through music. Sometimes this happens at my grandmother’s piano. Sometimes it happens when I’m searching for something else on the internet. The ideas are all out there waiting to be found. Jarbas Angelli saw this photo of birds on wires and he saw a song. 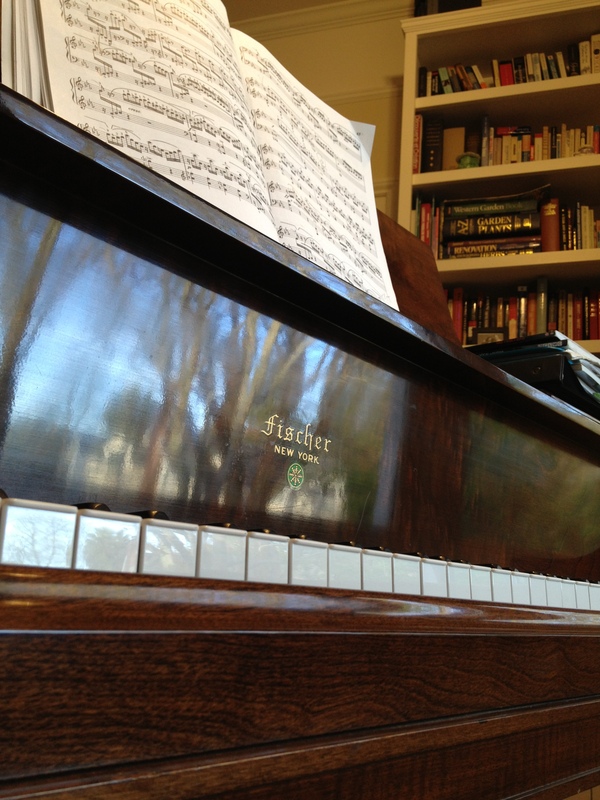 In San Francisco, the year 2014 will be the year of the piano, thanks to Sunset Piano. Pianos will be set in unlikely places all over the City by the Bay. And to get the party started Brian Goggin and Dorka Keehn unveiled a massive sculptural installation of glass and steel pianos that are lit in sync with the music of Enrico Caruso. Music as light. Where do you find your inspiration? Please share!